It's 2055. 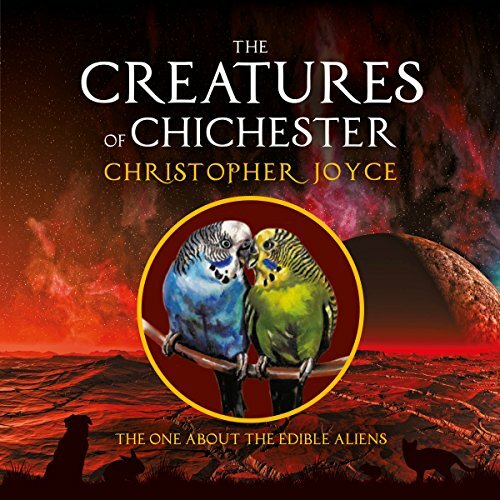 Aliens flock to the city of Chichester to visit the restaurants that now fill the streets. But some of the visitors are the tastiest aliens in the universe - and they have gone missing. Fabia lives above the jewelry shop in South Street with her pet budgies, Sparkle and Topaz. Can they save the scrumptious aliens from the pie factory? Button, Stitchley, and the other creatures in town come to their rescue in this futuristic tale of greed and deception.